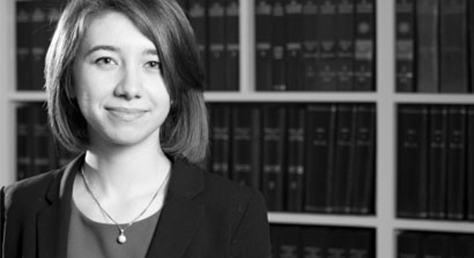 Family department trainee solicitor Rebecca Styles considered the case of Y (A Child) (S.38(6) Assessment)  EWCA Civ 992 which concerned an appeal against an order for assessment under s38(6) of the Children Act 1989. The Local Authority had been ordered to pay for the placement of a child (aged 7 months) with her parents at Phoenix Futures, a specialist placement centre which assist parents with substance abuse issues. There were concerns about mother’s drug use and the parents’ mental health and it was hoped that Phoenix Futures would be able to provide a parenting programme, assist the mother become drug-free and undertake an assessment of the mother and child. The Local Authority appealed the decision that they should pay for this placement and assessment under s38(6) of the Children Act 1989. On appeal, the Judge confirmed that Phoenix Futures were a specialist drug treatment unit providing a service to help the mother become drug-free. Therefore whilst the Judge agreed it would ‘undoubtedly beneficial’ for the parents and the child to be placed there, in order for any assessment to come under s38(6) of the Children Act 1989 and in order for the Local Authority to finance this, the focus of the assessment must be on the child. In this case the Judge decided it was not. Further, the assessment must be ‘necessary’ and the Judge stated that the parents could receive support and be assessed in the community, rather than by way of residential assessment. The appeal was therefore granted and it was ordered that the Local Authority did not have to fund the placement and assessment at Phoenix Futures. Whilst the Judge undoubtedly applied the law correctly, the decision of the Local Authority to appeal and the ultimate decision not to fund Phoenix Futures is quite sad, especially as early substantive intervention can mean children are more likely to remain with their families, conversely saving the Local Authority more money in the long-term! We can only hope that the parents did get the support they needed in the community and that the final outcome was the best thing for the child. If you need assistance or advice in a case such as this please contact Mavis on 020 8885 7986 for an appointment.